Executive Director Craig Lewis and Policy Director Doug Karpa presented at this event, which took place on June 6-7, 2018 in San Francisco, CA. The Clean Coalition was a partner organization for the Grid-Scale Storage Conference, which took place on June 6-7, 2018 in San Francisco, CA. Executive Director Craig Lewis and Policy Director Doug Karpa presented at the event. The utility or grid-scale energy storage market is becoming more important than ever as renewable energy generation complicates the energy topography of the grid. The potential size of the grid-scale energy storage market segment is very large in the many hundreds of billions of dollars. The electric energy sector will increasingly add on energy storage to enhance its generating capacity with the addition of necessary storage capacity and when one considers the size of the potential global market it is easy to understand why so many venture capitalists and energy storage startups are hoping to get even a small piece of what promises to be a very large pie. Cost-effective energy storage yields better asset utilization and well as the reduction of environmental damage from traditional energy generation, and now is becoming a reality due to economic and technological advances in bulk energy storage systems. At 2018’s Grid-Scale Storage Conference, attendees discovered the significant market opportunities for energy storage, including government policy and regulatory initiatives, new requirements for transmission and distribution of power in electric markets, increased utilization of distributed energy systems, and the integration of storage into smart grid platforms. This three-day conference covered all aspects of the implementation of energy storage technologies as a key enabler of grid modernization, addressing the electric grid’s most pressing needs by improving its stability and resiliency. 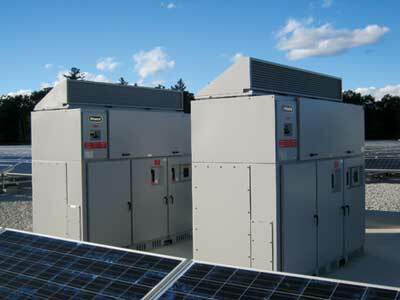 Investment in energy storage is essential for keeping pace with the soaring demand for electricity.